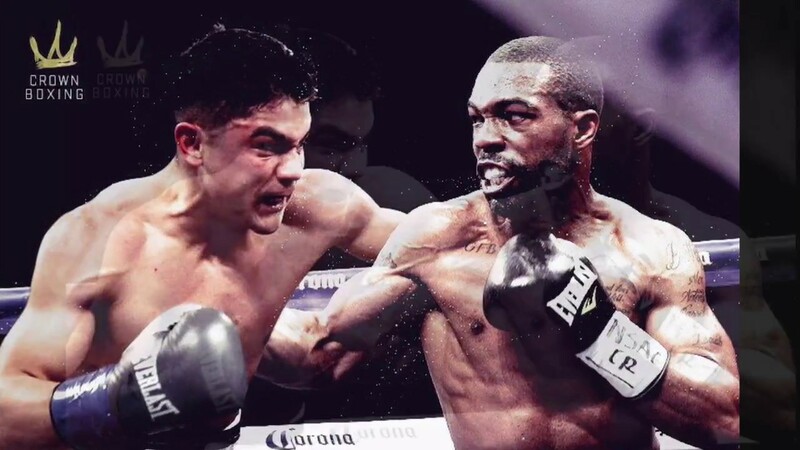 Featherweight world titleholder Gary Russell Jr. will square off against Joseph Diaz on May 19 as part of a Showtime split broadcast at MGM National Harbor in Oxon Hills, Maryland, while the other half of the telecast will take place in Montreal, as Adonis Stevenson defends his WBC light heavyweight title against Badou Jack. Tickets for the fight, which is promoted by TGB Promotions in association with Golden Boy Promotions, are officially on sale. "The featherweight division is one of the most talent-laden in boxing, and Gary Russell, Jr. is at the head of a class of terrific boxers at 126 pounds,'' said Tom Brown of TGB Promotions. "Joseph Diaz Jr. is young, hungry and undefeated and he's coming for the title, and he's going to have to beat Russell in front of his hometown crowd to take it. It has the makings of an instant classic. Boxing fans will be the real winners on May 19." "SHOWTIME continues to deliver the most meaningful and action-packed fights in boxing, week after week," said Stephen Espinoza, President, Sports and Event Programming for SHOWTIME in a statement. "On May 19, we have two events that demand top-billing, with world champions facing their toughest challengers in an international split-site doubleheader. Gary Russell and JoJo Diaz will meet in the latest of what has become a de facto featherweight tournament this spring on SHOWTIME. Over the next two months, SHOWTIME will deliver four pivotal matchups featuring three world champions and seven of the consensus top-10 featherweights in the world. Adonis Stevenson vs. Badou Jack is by far the biggest fight at light heavyweight in 2018, fellow 175-pound champs facing off in what has the makings of a lasting rivalry." Russell (29-1, 17 KO's), 29, who was born in Washington D.C. and now resides in Capitol Heights, Maryland, has held the WBC featherweight world title since March 2015 when he scored a fourth-round stoppage of former world champion Jhonny Gonzalez. The one blemish on his professional record is a majority decision loss to Vasyl Lomachenko, a former two-time Olympic gold medalist and a two-division world champion, who is moving up to 135-pounds to face WBA world titleholder Jorge Linares on May 12 at Madison Square Garden in New York City. Russell was asked about Lomachenko Friday during the weigh-in festivities for Adrien Broner vs. Jessie Vargas at Barclays Center in Brooklyn. However, he refused to answer any questions about his bitter rival. "I don't answer no questions about Lomachenko no more unless we got a contract," Russell told Marcos Villegas of FightHub TV. "It doesn't matter which weight division he is; I have the ability to fluctuate up and down in weight anyway. That's something that we're going to make happen before the conclusion of my career anyway.